Your OCFP May eNews is here! 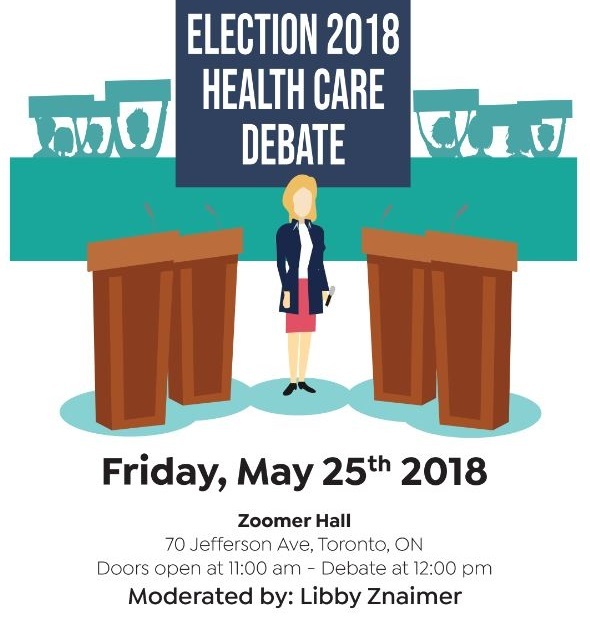 Join the OCFP and other health care partners at noon on Friday, May 25 for the Election 2018 Health Care Debate to hear from the Ontario Liberals, NDP and PCs about their views and plans for health care, including their commitment to supporting primary care. Click here for more information on how to register to attend in person or via livestream , or follow the debate on Twitter with thehashtag #onhealthdebate . We are live-streaming! Learn how you can take part on June 15 - from anywhere. ... and much more, including our special pre-conference workshop. 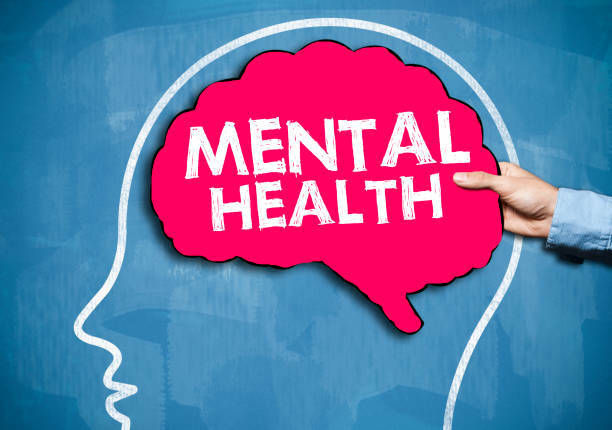 This 1-credit-per-hour Group Learning program has been certified by the College of Family Physicians of Canada and the Ontario Chapter for up to 6.0 Mainpro+ credits . Big White Wall and BounceBack Webinar 2 - Wednesday, June 6, 2018 7:30 a.m. The OCFP is building a Rural Medicine Initiative Network to ensure quality care for those living in rural and remote areas of Ontario, and to support wide-ranging roles of rural-based physicians. To support this goal, the OCFP conducted a needs assessment survey in early 2018 to help inform planning for rural locum professional development. There were more than 600 survey respondents – including current and former locums, physicians interested in working as locums and rural-based physicians. We are pleased to share information about the OCFP Rural Medicine Initiative Network , including insights collected through the Rural Locum Needs Assessment . Registration by June 1 is required to attend this free CPD program. Space is limited! Unable to attend in person? 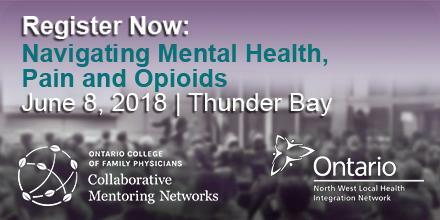 Contact ocfpmentoring@ocfp.on.ca to join via webcast. 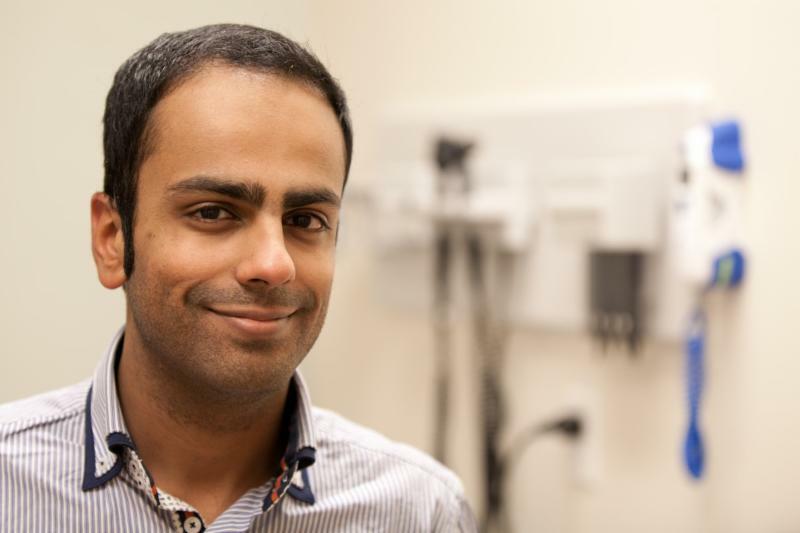 Our Residents Committee sat down with Dr. Dosani to talk about what inspired him to pursue family medicine, his practice experience providing palliative care to homeless patients, his advice for residents and more. 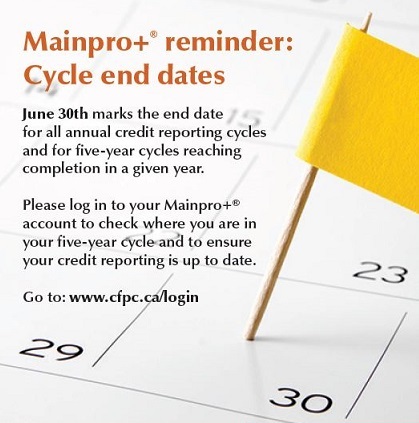 The end date for all annual credit reporting cycles and for five-year cycles reaching completion in a given year is June 30.